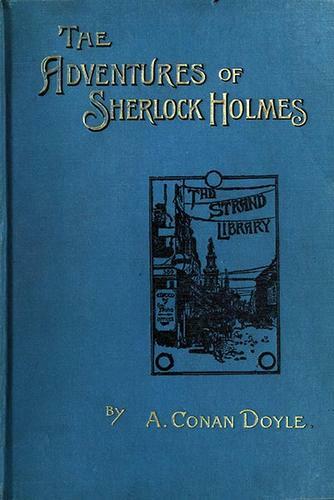 The Adventures of Sherlock Holmes is a collection of 12 stories by Sir Arthur Conan Doyle illustrated by Sidney Paget. They were originally published in the Strand Magazine from July 1891 to June 1892. The book was published on October 14, 1892 by George Newnes Ltd and on October 15 in a U.S. edition by Harper. The initial combined print run was 14,500 copies.